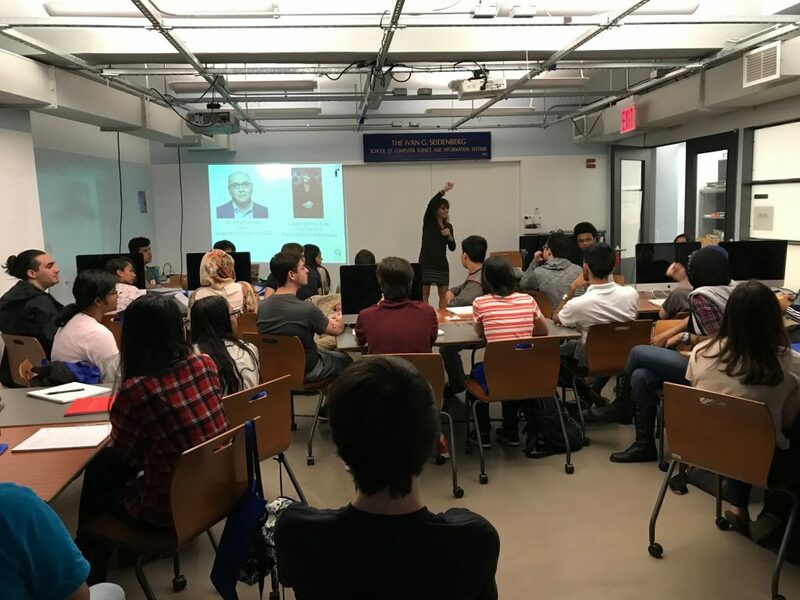 On Friday, July 7th, 2017, the 5th annual STEM Collaboratory NYC’s STEM Camp kicked off as a cohort of bright and ambitious high school students walked through the Seidenberg School’s doors. The 26 students, who were carefully selected from 109 applications, will spend the next two weeks with us for an intensive summer experience that will include delving into programming with python, understanding data science, using design thinking approaches for projects, and having massive amounts of fun! On Day 1, the day began with a brief intro to camp and the Seidenberg School. Program manager Olga Bogomolova got everyone acquainted with an opening presentation and the infamous name game, where everybody cements one another’s names in their heads through a creative repetition game. It works! Dr. Lauren Birney welcomes our STEM Campers for 2017! Students spent the afternoon getting an introduction to python programming language with Dr. Christelle Scharff, chair of the computer science department. 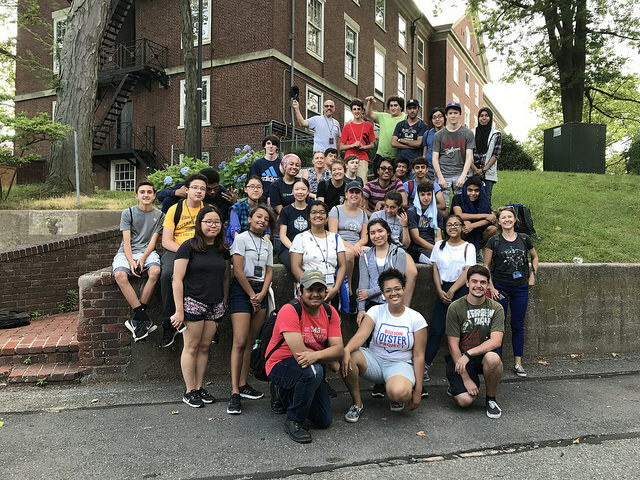 STEM camp is organized and managed by Olga Bogomolova and offers Seidenberg and fellow Pace students the opportunity to mentor campers individually and in groups. The following two weeks will include more coding, project-based learning, a trip to the Billion Oyster Project on Governor’s Island to learn data analytics, museum visits, and more. Stay tuned to hear all about it and check out Seidenberg social media for pics!